The Injex Zoom is a top-level aluminum pump with new, universal reversible valve connection and is ideal for trekking and mountain bikes. Dual compound soft grip for comfortable handling. 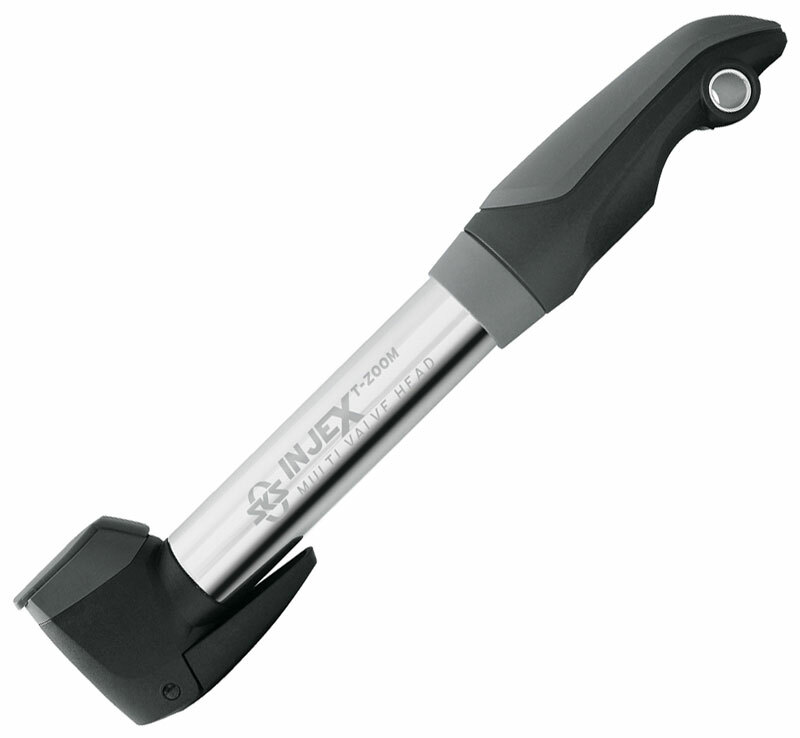 Telescopic function with maximum volume per stroke and optional high pressure level. Universal Valve Connection.